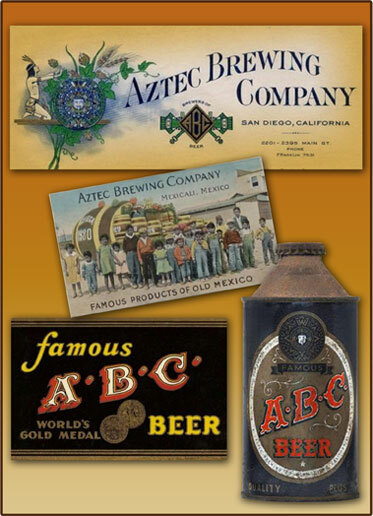 The original Aztec Brewery was started in Mexico during Prohibition. When Prohibition ended, the brewery was moved to San Diego. It became known as ABC - Aztec Brewing Company. In 1948 the brewery was purchased by a competitor from the midwest. The brand was later retired and disappeared from San Diego. © Copyright 2009-2017 Aztec Brewing Company. All rights reserved.